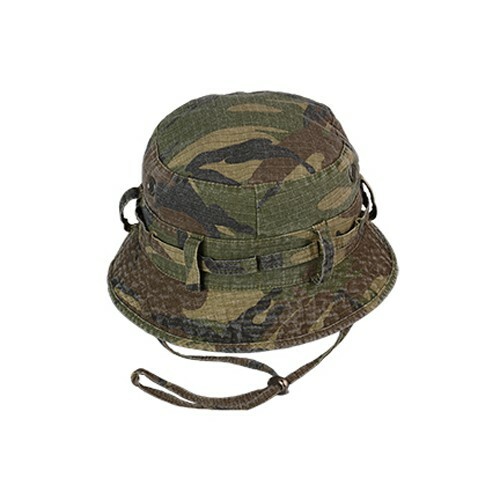 The always popular camouflage boonie is back. Made of durable 100% cotton ripstop with belted loop band and adjustable chincord. Metal mesh vents. 2 1/4” brim. COLOR: Green Camo.